There are around 8.7 million different species in the natural world at present, and it is estimated that a vast majority have not yet been discovered. An exciting 18,000 species are discovered every year, and this figure is almost too high to keep track of every animal, especially because their IUCN status is always changing. Sadly, an average of one species per day is becoming extinct, ultimately meaning that some will never actually be discovered. As humans are continuing to adventure deep into Earth's ecosystems than ever before, species are becoming more and more exposed. So we thought we'd take a look the top 10 recently discovered species that are a triumph for wildlife conservation volunteers and workers everywhere! What an exciting time! 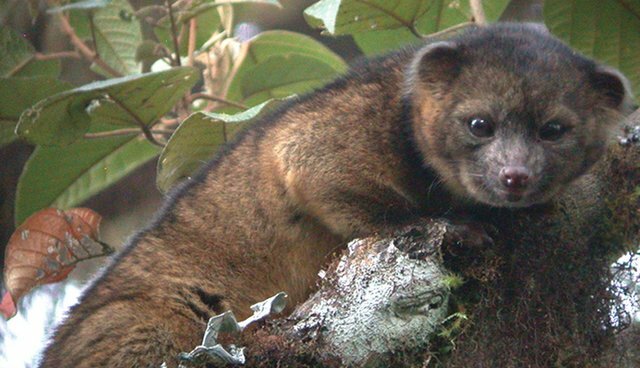 This has been the first new mammal species to be discovered within the Americas for at least 35 years, so scientists are absolutely ecstatic, especially as they are only found in high altitudes within Andes and Ecuadorian forests at night time. Although these mammals have been seen many times before, because they were even sent to Washington DC zoo to encourage breeding, but this was unsuccessful as the keepers did not realize they were an entirely different species. Unfortunately, their habitat has already been deforested by up to 40 percent and therefore huge efforts are needed to avoid their extinction. This strange looking creature was discovered by scientists on a six week voyage along the Mid-Atlantic Ridge. It was found lurking at just over half a mile deep (800 meters) and was further identified to be a cousin of the starfish family. Found in the newly discovered region known as the "lost world" in Papua New Guinea, these long nosed frogs were found deep within an untouched rainforest. These remote areas are fairly undiscovered by humans because they are almost completely inaccessible, and are prone to torrential rain storms and extreme weather. The frog's long nose was discovered to point upwards when it is calling, but will deflate when the male is less active, but its overall function is not known. The amphibian was "sitting on a bag of rice in the campsite" when it was discovered, but only one has ever been spotted. 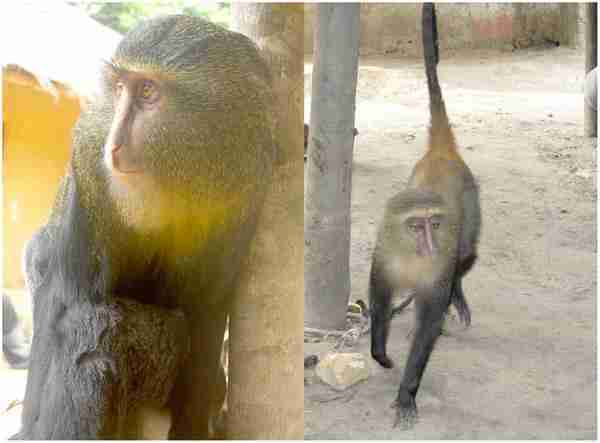 In the Democratic Republic of Congo, these little monkeys have been well known to hunters for six years but have only recently been confirmed as a new species after extensive research. This is a breakthrough discovery as unknown mammals today are rare, and scientists hope that this would provoke a greater effort to preserve central Africa's forests. Unfortunately, this species is already being hunted for its meat and therefore could face extinction within the next few years. Also, if you ever venture to Africa and fancy spotting one, note that they have a very large bright blue bottom. In the forests of Southern Madagascar, a new dwarf lemur has been discovered but this may already be on the road to extinction as there are only around 50 left. The lemur has only been found in three isolated forests and may have escaped scientists due to its secretive lifestyle. 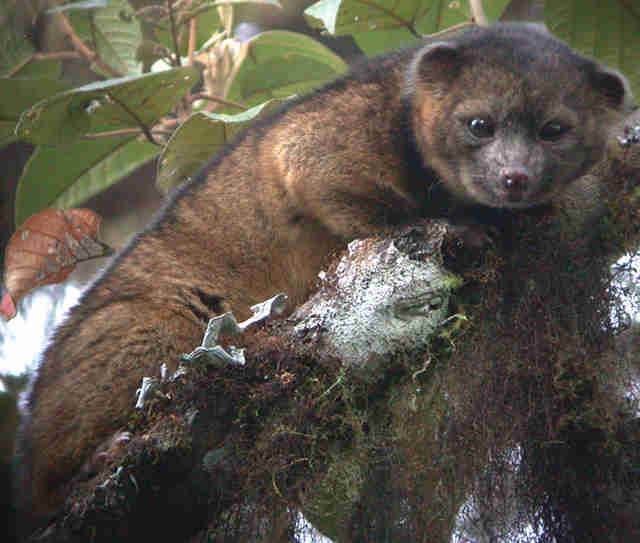 As they are nocturnal and may spend a large amount of time dormant in tress conserving energy. A new type of cockroach was discovered in Ecuador, but it may not actually be what scientists were looking for. Although a luminous type of roach was discovered in 1939, a huge volcano affected the island in 2010, so another one is unlikely to be found ever again. However, this clever roach newly spotted is special, as it seems to be mimicking the luminescent beetle to warn off predators. More than a dozen of similar insects have been discovered since 1999. Another species discovered deep below the ocean surface near California was a carnivorous sponge. The innocent looking sea creature traps and captures tiny animals that are swept into its branches by deep sea currents. The prey unwillingly gets caught upon the hooks attached to the branches and gets digested slowly through a membrane. The deep sea floor is an inhospitable place, and so the lyre sponge is a fantastic example of the adaptations that creature make in order to survive the most hostile environments. 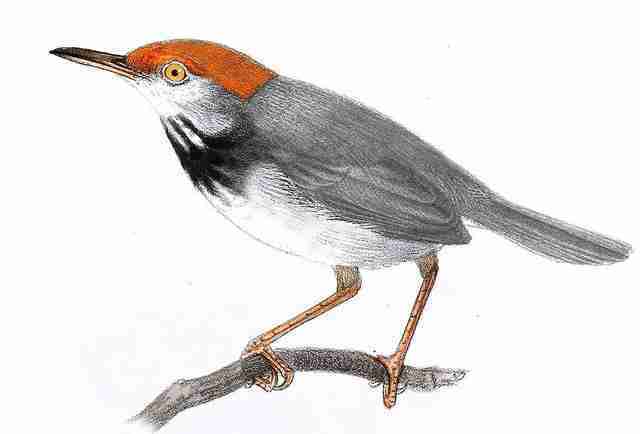 The most recent to be listed of all the species identified, the bird was found sitting in Cambodia in 2009, and specifically their capital city Phnom Penh, in the middle of a construction site. It seems almost impossible how these creatures cannot have been noticed until now, and begs the question; are new species sitting right on our doorstep just waiting to be discovered, simply because we are not expecting them to be there? At only two centimeters in length, the four fin blenny was found off the coast of Curaçao in a manned submersible as divers cannot reach depths of 150 to 170 meters (approx. 492 to 558 feet). Deep tropical reefs are another one of the world's undiscovered ecosystems as they are also almost completely inaccessible. These species are very complicated to understand because they do not see any light their entire life, and it is only recently that scientists have started to site these rare aquatic species. With its name being inspired by the orange circular patches on its wings, the moth was recorded in China recently. Only one single male has ever been caught, and this was in a wide river valley dominated by mountains and mixed forests. Other species in the family have economic importance because the caterpillars can often feed on poisonous plants which as a result, lower the death rates for other insects. By Laura Robinson Learn more about wildlife conservation projects working to protect endangered species and fragile ecosystems around the world and how to get involved as a volunteer.